What is better than one speaker at our Best Practice Talks? Correct, two speaker! 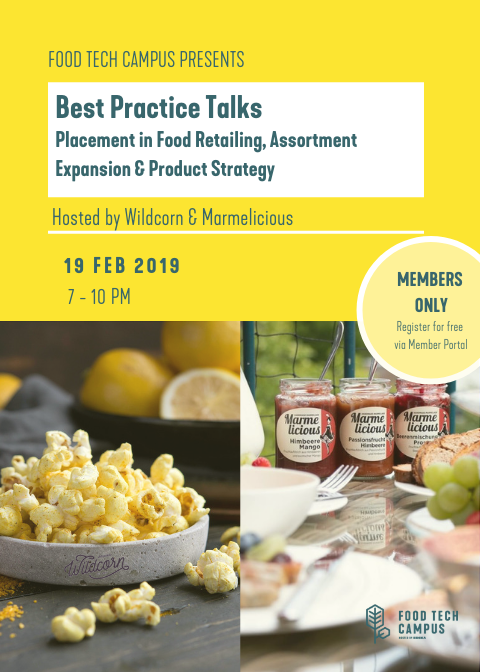 Marmelicious and Wildcorn are hosting a Best Practice Talk together about the topics placement in food retailing, assortment expansion and product strategy. With 25 different listed products and the new limited edition from Wildcorn the founders definetely have a lot to talk about! Not a member yet? Apply here.